This content was published: January 18, 2016. Phone numbers, email addresses, and other information may have changed. 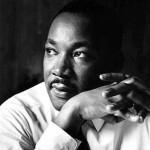 PCC is closed and no Community Ed classes will be held Monday, January 18 in observance of MLK Day. Since you’ve got some free time today, please consider giving back to our community. Opportunities to volunteer today can be found at Hands On Greater Portland.